Have you been waiting for easy living on the ocean? Admiral's View Community offers a short walk to the beach access, a private community pool and the ease of low maintenance living! 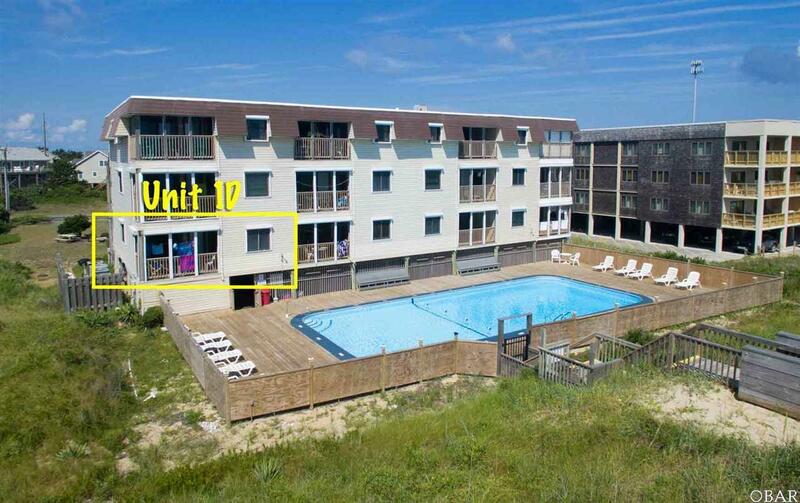 This desirable end unit offers two bedrooms and two baths on the first floor with beautiful views of the dunes off your private porch and a sweet little peak of the blue Atlantic. Community features an elevator for easy access and walking distance to numerous stores and restaurants! Make this deal while it lasts! Association dues cover cable, internet and phone, exterior maintenance of the building, decks, elevator, pool, parking lot, insurance (excluding contents) and beach deck.